Staying at home may just give us all the comfort we need, but we should also remember to add in some regular activity to keep our bodies strong and healthy. Including good food like fruits and vegetables into our meals is what we can initially do to supplement our bodies with good sources of nutrition that can be converted into energy we need for the day. 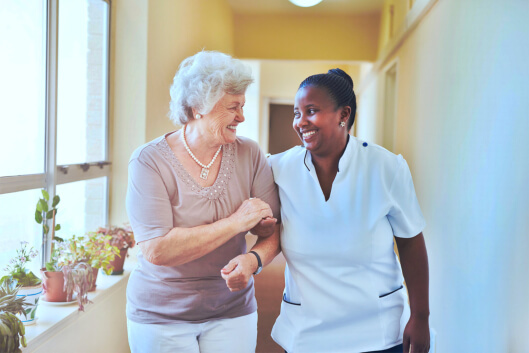 Since our bodies are built to move, old age and health conditions can be factors that keep us from performing much needed physical activities at home, but our home care services in West Hartford, Connecticut can help individuals in securing good habits to stay active. Our bodies are machines that are designed to move and are very much capable of doing many things. When fueled with good nutrients, it can keep going like a well-oiled machine. Walking, for example, has numerous health benefits, like good blood circulation, which is needed for our bodies because it helps distribute oxygen and nutrients to all the body parts. Walking can also help delay dementia as the good flow of oxygen and nutrients always provides good levels of it to reach the brain. A good ten to fifteen minutes a day can already get the dopamine hormones going in our body, and these are the very hormones that are known to give us happy feelings. If your loved one can no longer keep up with laborious physical activities, they can still stay active at home with simple chair exercises that will help strengthen their muscles. Bottle lifting: Lift water bottles in each arm to strengthen arm muscles. Leg lifting: While seated, alternately lift the thighs to strengthen the legs. Apart from keeping physically active, our homemaker services in Connecticut can also guide your loved one with hobbies and activities that will keep their minds stimulated even with simple activities at home. Letting your loved one showcase their collections or do some guided housework like letting them arrange their books from favorite to least favorite can keep them busy with different things to do at home. Through your personal care assistant in Connecticut, your loved one can do so much more at home as they get assistance with exercises and keeping their homes tidy and clean. Give your loved one the chance to stay active and healthy with At-Home Care Services. Call us today to arrange a care plan that your loved one needs. This entry was posted in Active at Home and tagged Chair Exercises, home care, Mental Games. Bookmark the permalink.